946 Black Bear Cub Way , Sevierville, TN, 37862 - Photos, Videos & More! 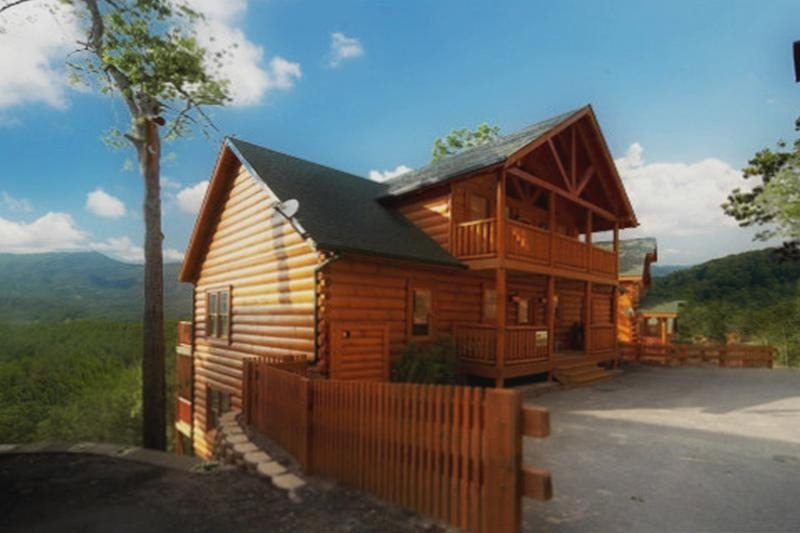 Awesome opportunity to own an epic log cabin in a great location with amazing mountain views. This 5 bedroom 5 bathroom property features over 4000 sq ft in a perfect location. 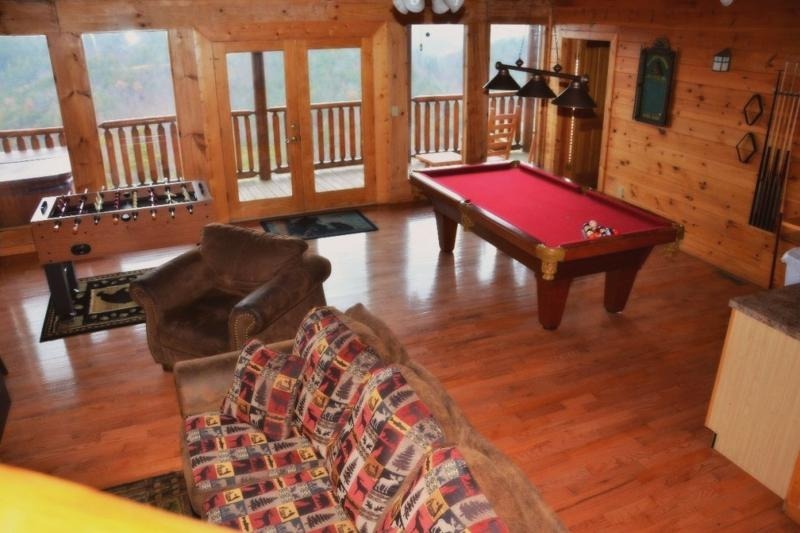 Only minutes to downtown Pigeon Forge this cabin has it all. 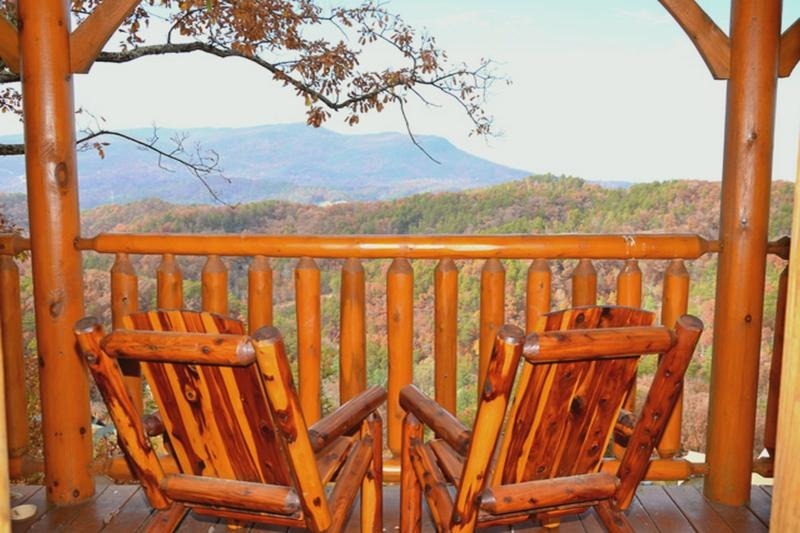 Hardwood floors, mountain views, level parking, easy access with NO steep roads. The main level features 2 bedrooms and bathrooms, hardwood floors kitchen and fireplace with a full covered back porch. 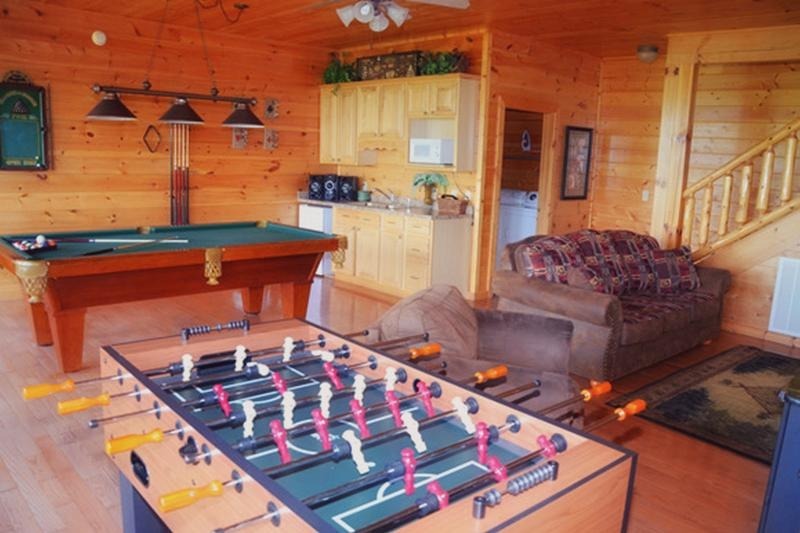 The downstairs is the game room with wet-bar and 2 bedrooms and bathrooms with deck and hot tub outside. The upstairs level features plenty of sleeping arrangements with its own bathroom also.